Eight days left in Lent. I am obliged to make a sacrifice for the season. Giving up things I don’t like – e.g. creamed corn or broccoli – would not be right. Giving up chocolate or ice cream, which I love, would not be sufficient either since I rarely have them. So I settled on my music, which makes up a very important part of my life. And I’ve stuck to it. No listening to music in the car, the office or at home. No working on playlists, indeed not even looking at them. No shopping online for items to buy, download or stream. Nothing of that sort at all. I don’t think I’ve even touched a CD since Ash Wednesday. Well, it’s been hard, as it should be. I ought to be offering this up in penance. Instead I find myself grumbling, “Hope you appreciate this, O Lord.” That won’t do at all. 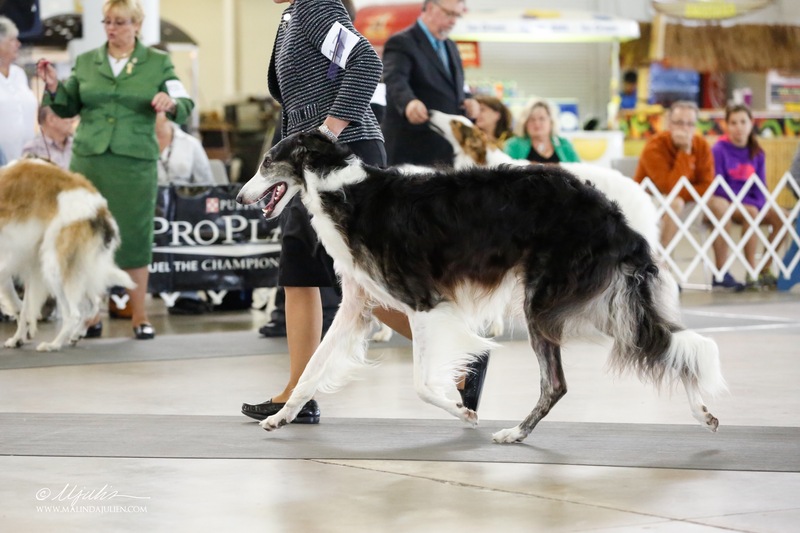 The aforementioned big fellow was Best of Winners, Best Owner-Handled and Award of Merit at today’s Lone Star Borzoi Club specialty in Fort Worth. With that comes a big, fat five-point major to finish. Val may now be styled Ch. Soyara’s Vala Rama. He joins his brothers Finn and Dan in the champions circle. Our intent for the weekend was to try to get majors on big Leo. His performance with Gerry Thornton was improved but the best he could do was Reserve one day. Carmen, who had just come into season and was puking and suffering from diarrhea, gave us the surprise by going Best of Breed three of the four days under, respectively, Keke Kahn, Alvin Krause and John Wade. In a single weekend, she became a Top 10 Borzoi in breed competition, picking up some 100 points. Last weekend was the Houston World Series of Dog Shows, in which Carmencita and big Leo competed (about which more anon). Sadly we were involved in a sad and highly disreputable situation that resulted in my euthanizing a Borzoi whose owner didn’t want dead. Early in the week, we received an e-mail from a Borzoi person here in Texas about a companion home in the Houston area that was having trouble with a Borzoi purchased from a breeder from the North. The dog, two years old and apparently not socialized, was having aggression issues and, despite the owner neutering him and hiring a trainer, the dog snapped at her young son and their Whippet. Clearly the situation could not continue. Now for a breeder, there’s one and only one thing to do about this: take the dog back at your own expense, refund the purchase price and, if necessary, quietly put the dog to sleep. Instead the breeder, when contacted, said that if the owner got it back to the breeder (i.e. return it at the owner’s expense), the breeder would put it down, or the owner could put it down themselves and get a replacement. Let’s be clear, no breeder should sell a dog who is not socialized. No breeder should sell a dog with a bad temperament. No breeder who sells a dog to a companion home should ever suggest that it’s the owner’s responsibility to euthanize a dog whose problems were caused by the breeder’s greed and neglect. As this was going on and Borzoi Rescue became involved, I could see the whole Way of the Cross stretching before us. And, in this sorry situation, that’s exactly how it played out. On Friday, Madame got a call from the owner. The owner had to get the dog out of the house, as it had bit their Whippet, and would be bringing it to the show to turn over to us. Borzoi Rescue had sent us a surrender form as, predictably, we were the only ones available to take custody. The Borzoi was surrendered to us at the show. We told the owner that we would see what could be done and she left sobbing. We thought that being near another Borzoi would trouble him less but when Madame ran a little test by bringing Carmen over by the crate he was in unfortunately he reacted badly. With a breed as fast and as strong as a Borzoi, a dog with a bad temperament can’t be trusted enough to be placed in another home. We made the hard decision to euthanize. By this point, predictably, I was the only person available to do it. So it was my sad task to take the poor creature to our vet and put him to sleep. All friends having failed and comforts fled, I stayed with him as he drew his last breath; it was the respect he deserved and I was the one who had to supply it. At least it was very peaceful and in his final moments he was treated with dignity by the staff. There will be blood, buckets of it. There was no reason for Madame and I to be involved in this. It grossly offended my sense of ethics about how dogs are treated and how people should behave. I am a member of the BCOA (which has code of ethics and guidelines for breeders to be followed) and so is the breeder, so I will be preferring charges. Everyone talks about cleaning up our own house and cracking down on unethical breeders; well, let’s start here. Happy Fourth of July to all my American friends (excluding, of course, the social-justice Red Guards). 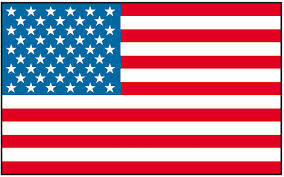 Whatever its faults, flaws and challenges, still the most dynamic, forward-looking nation on earth.